My first exposure to computers began in Year 11 at Cannington Senior High School, Western Australia, circa 1971. One student was taken from each high school for a pilot course in computer programming. 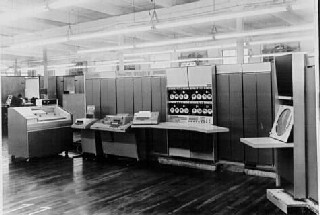 On alternating Sundays, we would either go to Hollywood High School for theory, or the University of Western Australia, Physics Department to use the IBM 1620. Ever since then I have been hooked. Even the smell of an old punched card is very evocative - the subtle smell of warm oil and the sweet aroma of blank card stock. Queue for the card punch station - punch a few cards with 10 impatient people breathing down your neck. Get back on the end of the queue to use the card punch station. In 1973 I started on my Physics degree at UWA. Many a lunch time was spent punching FORGO programs and running them through the 1620. One of the more vivid characters I recall was Andrew Marriot, in his bright green felt "gaussian hat" - later going to lecture in the Maths and Computing Department at Curtin (and probably doing something amazing even today). I remember watching in awe as a transistor radio, perched on top of the console, played melodies using machine code routines written by the engineering students. The card reader would often fail. 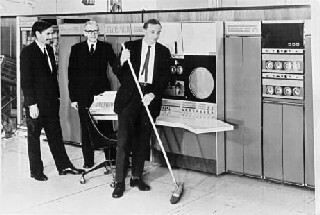 A service call to IBM would take several days to rectify the problem. Engineering students would take matters in to their own hands and affect a repair themselves. On one occasion as I watched a student, elbow deep in the internals of the card reader, the duty programmer walked in and caught him at it. He gave us both a good bawling out. Years later I used to work at WARCC (well actually Health Computing) and would sometimes come face to face with the same gentleman. I doubt that he remembered me - but I always had an urge to dive down the nearest corridor and hide. In the next room sat the PDP 6. We used to gaze at it in awe. You had to be God to get on to that machine! PDP 6 pre assembled at DEC factory in Maynard. Here is the System 340 Display unit sitting in my barn! I rescued it out of the rain from a scrap metal yard. PDP 6 as first installed at UWA. PDP 6 shortly before decommissioning. In 1974 a series of article by Jamieson Rowe appeared in Electronics Australia. 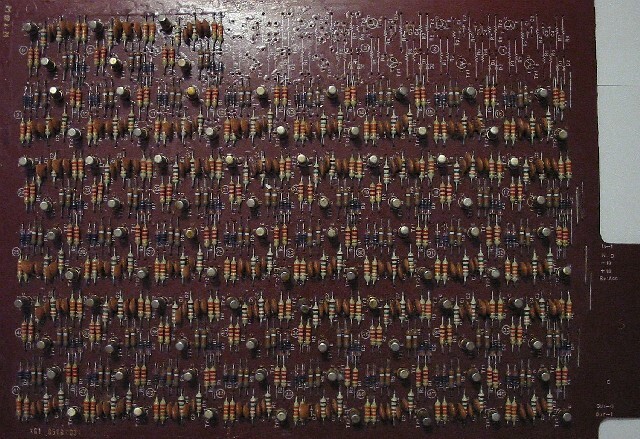 The first article was titled "Build Your Own Computer"
Over a thirteen month period it set out a series of article describing how to build your own computer out of mainly 7400 logic and a handful of Fairchild chips. 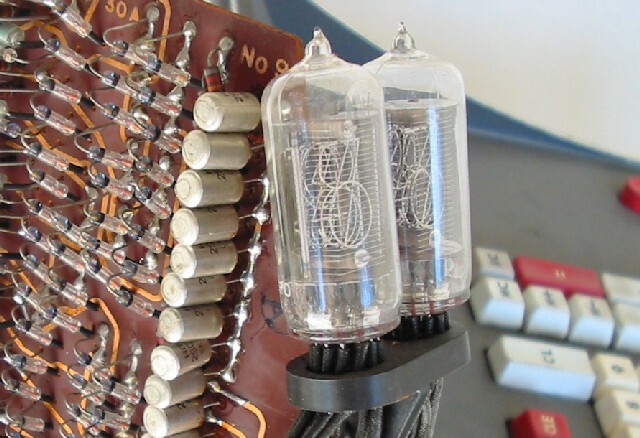 Although thought to be the first project of its kind in the world - it was eventually pipped at the post by the Mark-8 published in Radio-Electronics two weeks earlier. I was fascinated by this project, but being an impoverished student, had no way of building it. I spent hours pouring over the circuit diagrams and pcb layouts. A lot of time was also spent in the "Phys" library reading up on the design of discrete component flip flops and attempting to breadboard them from theory. 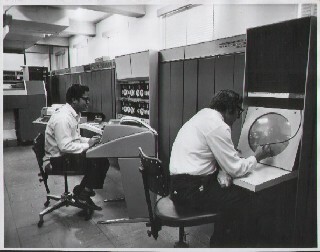 One day, a couple of electronic engineering students showed me what they had bought from Edwards Business Machines. It was some circuit boards from a superannuated calculator. For $10 they sold me a shift register board, display driver board and four displays. Emboldened by this purchase - I visited Edwards Business Machines and bought a Sharp CS-30A electronic calculator. The very nice people at Edwards also gave me photocopies of all the schematic diagrams. Again I poured over the schematics and PCB's. In theory, for $15, I had enough discrete components to build something along the lines of the Educ-8. On the face of it, this seems like a very strange way to go - but you have to remember that back then, all the components for the project would have cost $400 - way beyond the means of a lowly student. Of course - the project never got started, and when I went to Europe in 1983 I sold the calculator in a garage sale. Years later I regretted getting rid of it.. This may seem like a rather pointless little side story - but it was the memory of that calculator that later spurred me to start creating a computer collection.